11.00 A.M. TO 8.30 P.M. 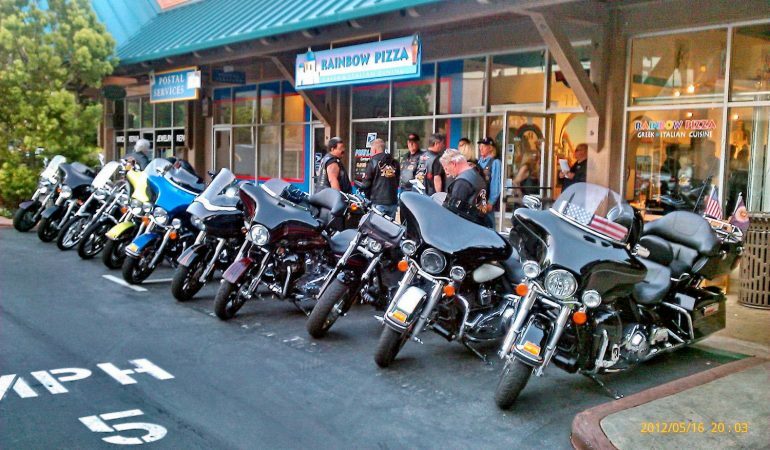 I've been to Rainbow Pizza probably at least 50 times. My whole family loves it. We usually... read more have a lot of people and they're very accommodating, with great service. The portions are huge with enough leftovers for 1-2 meals. GREATTT for groups. Mom and pop shop for sure. They have a huge seating area so not... read more much of a wait to be seated and a HUGE selection of foods to pick from. Got into town and had dinner with my in laws. They ordered everything we had and it came out pretty efficiently. The food was very hot and very delicious. We barely had any left overs and even my kids loved it. I'm not sure what we ordered since my inlaws ordered everything but again everything was delicious..my oldest daughter even tried calimari for the first time and loved it. Definitely a fan of this place and would be back for more. Sorry if were a bit impatient since we were on a bit of a time crunch. We will definitely be back when we have more time so we don't have to rush in/out. Any of the Greek food is also very good! Dang, this is heaven for pizza lovers. Their pizzas have an awesome amount of cheese, it is... read more filling and good. Great staff here managing the long wait times when they are busy (and they are almost ALWAYS... read more BUSY), but it is always worth it. Huge, delicious portions, perpetually fresh ingredients, and out of this world flavor will have you coming back for more. Support your local mom&pop! I love the Spaghetti Shrimp Scampi, but I can guarantee that basically everything on the menu will taste amazing. The menu, by the way, is so vast it will make your head spin. However it is easy enough to quickly choose something that sounds good (and I take FOREVER to decide, this is known). Evacuated from our home due to Napa fires. After a 2 hour drive we were starving and... read more everything sounded good. A family of 6 - with ages from 14 yrs to 2 yes old. After debate saw Rainbow Pizza. After seeing the menu we were sold. Gyro sampler - amazing. Not a piece of food left on the plate. Ever see kids fight over salad - me either not till tonight. Ordered the pizza half #1 half 2# in large. We had less than less than half left over. And everyone is full! I'm so in love with Rainbow Pizza. First off, let me say that the ambiance is so... read more nice! There's a big beautiful mural towards the back of the resturaunt that depicts Greece. There's so much character in this place, I can't stop looking around. The menus! They're huge! It's kind of comical of how big the menus are haha. There's so much to choose from, I haven't tasted anything there that wasn't good. The gyros, the pizza, the pasta, everything is amazing! However their specialty is pizza so I recommend that you try the pizza. I guarantee you'll be impressed. My boyfriend took me here to try it out since he raves about their pizza and food!... read more It was my first time here and I was amazed how huge their menu was! It's a big 12 page menu with like every food you can imagine from salads, pizza, pasta, soups, sandwiches, burgers, dinner plates, Greek cuisine, and vegetarian dishes! I could sit there all day looking at their huge menu and what they had to offer! We ordered the all the meat you can handle pizza that came with 7 different types of meat on it! From bacon to pepperoni to salami to saugage! The pizza was so filling and really cheesy with mozzarella cheese on it! Once you take a bite of a slice of pizza the cheese is like never ending and just keeps on going and going! It's that cheesy and so good! Gyro's are delicious! The pizzas literally weigh 20 pounds. Heaviest pizzas I've ever seen. Nice peeps.